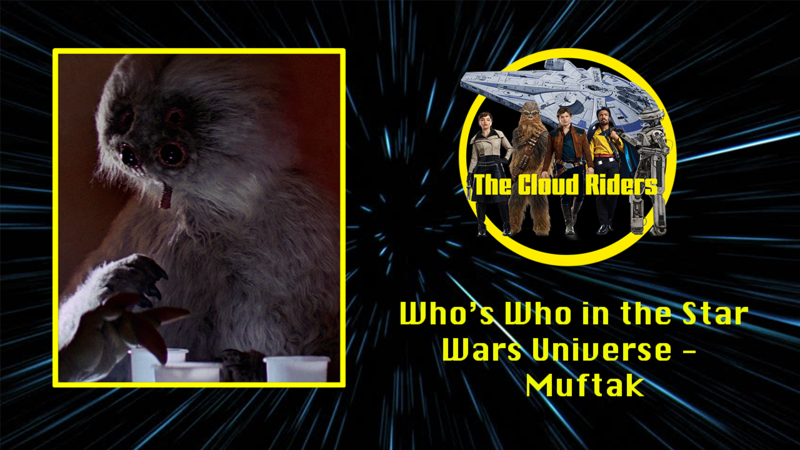 A male Talz from Orto Plutonia, Muftak was abandoned in Mos Eisley, a spaceport located on the planet Tatooine, as a newborn. He grew up knowing he was different from other species, but had no knowledge of the Talz or his homeworld. Muftak became a pickpocket and took up residence in abandoned tunnels beneath Docking Bay 83. To avoid overheating, he frequented Chalmun’s Cantina, where he could also pick a pocket or two. He was friends with various other regulars, and, when not drinking, he planned robberies with a Chadra-Fan named Kabe. In the year 0 BBY, Muftak was drinking at Chalmun’s when Jedi Master Obi-Wan Kenobi and a local farmboy named Luke Skywalker arrived in search of a pilot to take them to the planet Alderaan. He witnessed the pair get into an altercation with Dr. Cornelius Evazan and his companion, Ponda Baba, that ended with Kenobi dismembering Baba and wounding Evazan with his lightsaber.